Are you looking for a great prep for the 2015 Evening season or just honing your skills and having some fun? If you are this clinic is for you! Katy has brought her horse Oz the Tin Man up through the CCI *** level in eventing and the Prix St. George level in dressage. She has a tremendous amount of knowledge and experience to share. 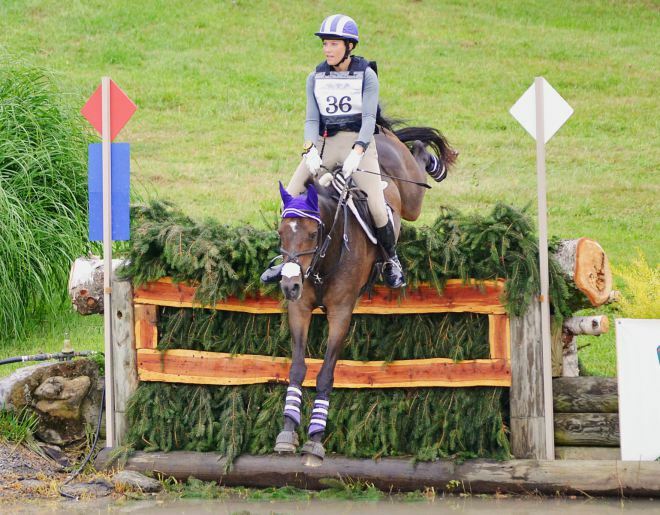 Katy possesses an innate and intuitive ability to know what is right for each horse and rider regardless of the level. Participants will emerge from this clinic with improved skills and confidence. Riders and horses will be grouped together by level. The first day will be show jumping. The second day will be devoted to cross-country schooling, using existing cross-country fences and taking stadium jumps out to create interesting and challenging combinations. Auditing is free to members of Area 8 Young Rider and Adult Rider Programs, NEOMTA Members and all members of Pony Club however we request you bring something to share for lunch. Stabling is available at $25/night.